Waters Edge in collaboration with the Lanka Powerboat Association recently presented a fun-filled, adrenaline-packed day on the waters of the Diyawanna. The press conference regarding the event was held on Friday 26 May under the patronage of Minister of Megapolis and Western Development Patali Champika Ranawaka while the F1 Power Brunch with the ‘Power Boat Princess’ Mette Brandt Bjerknes was held on Sunday 28 May and attended by Minister of Foreign Affairs Ravi Karunanayake. 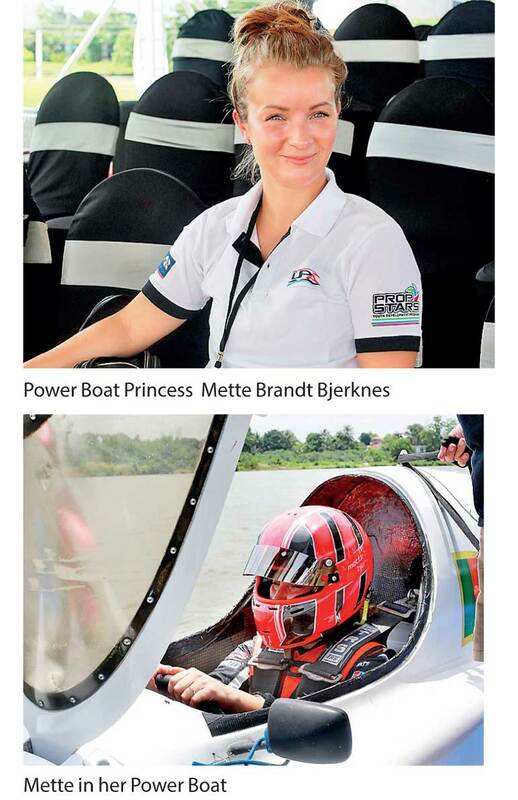 The spectacular launch event featuring international F1 champions Mette Brandt Bjerknes who flew in from Norway and John Masters who came down from the UK was held over the weekend. The duo test drove two of the newly-acquired F1 boats through their paces, providing a breath-taking water display for onlookers. 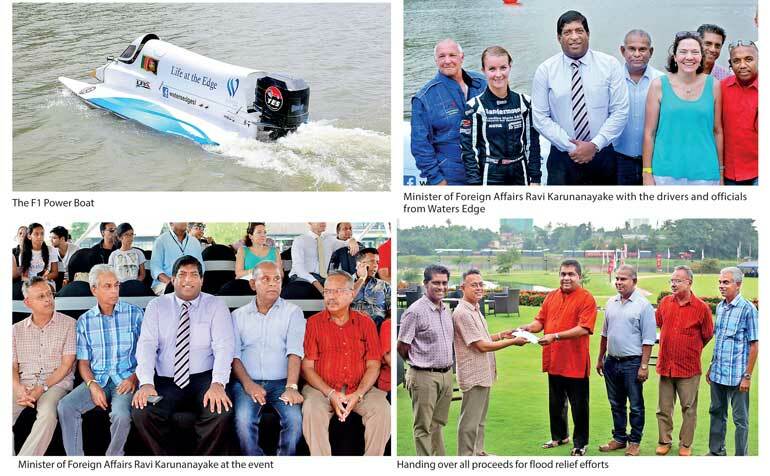 The event was supported by the Minister Ranawaka and Minister of Sports Dayasiri Jayasekara who have identified Waters Edge as a potential area for the development of water sports in Sri Lanka. Waters Edge Chairman Chamath de Silva, General Manager Rohan Fernandopulle and Director Strategic Initiatives Enoj Muthukumarana were also instrumental in securing this event for the hotel. VVIP and VIP guests experienced the thrills of 100 knots or more over an extravagant brunch with unlimited cocktails and seating with a prominent view. They also had the opportunity to ‘Meet & Greet’ the racing superstars and take selfies. This one-of-a-kind experience was brought to you by Waters Edge, the Lanka Power Boat Association, Coca-Cola, Anchor Professionals, Chelsea Tea, Nestle, and Asia Pacific Brewery. Yes 101 was the official radio partner for the event. With a desire to give back to society and uplift the lives of those who were affected by the recent devastating floods in the country, the organisers handed over all proceeds from the event for relief efforts.